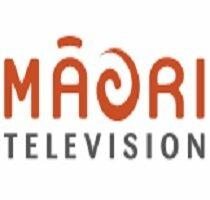 News TV Channel / Māori Television, a New Zealand television station, broadcasts programmes that make a significant contribution to the revitalisation of the Māori language and culture. Funded by the New Zealand Government, the station started broadcasting on 28 March 2004 from a base in Newmarket. In July 2015 the Māori Television board decided that Hamilton or Rotorua could be a new home for the broadcaster. Māori Television was launched on 28 March 2004 and attracted a cumulative audience of 300,000 in its first month on air (April 2004). The channel attracts 1.5 million viewers each month; half of all Māori aged five or more, and one third of all New Zealanders. Te Reo is the station's second channel, launched in 28 March 2008. Te Reo stands out from its sister channel by having 100% Māori language without advertising or subtitles, featuring special tribal programming with a particular focus on new programming for the fluent audience.